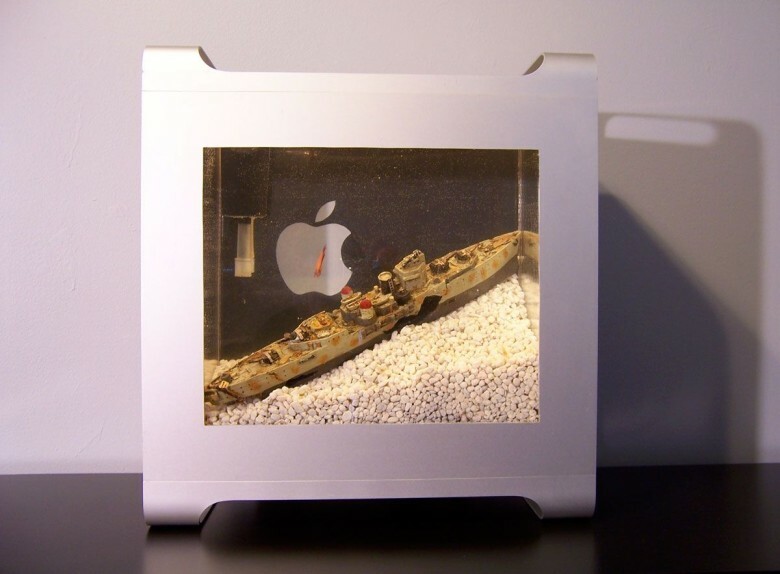 Macs with 9 Lives: Creative Afterlives from Apple Classics! 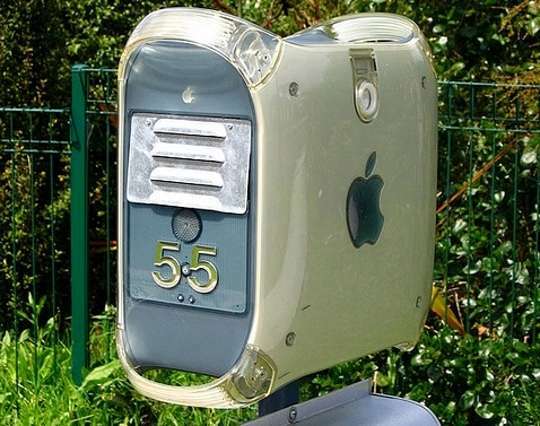 For legions of Apple fans, having a dead Mac is a cause for mourning, but some have cleverly repurposed the parts for new use. 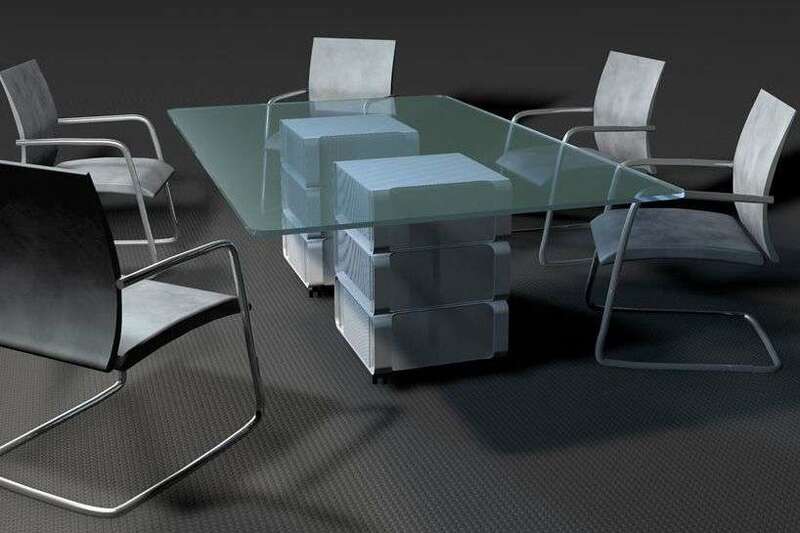 Out of the ashes arise furniture and accessories, from desks and file cabinets to clocks and aquariums. While some are more polished in their design and execution than others, it’s still inspiring to see how landfill fodder can be recycled into products that honor their celebrated past. Happy browsing! 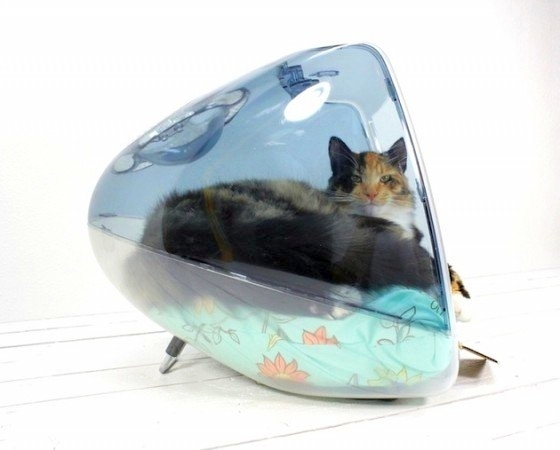 A feline stared imperiously out of its upcycled Apple iMac G3 pad. 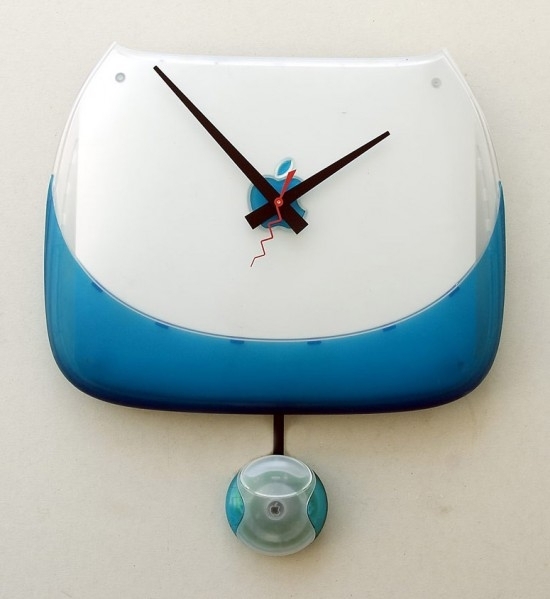 iMac G3 side cover is recycled into a cool timepiece. 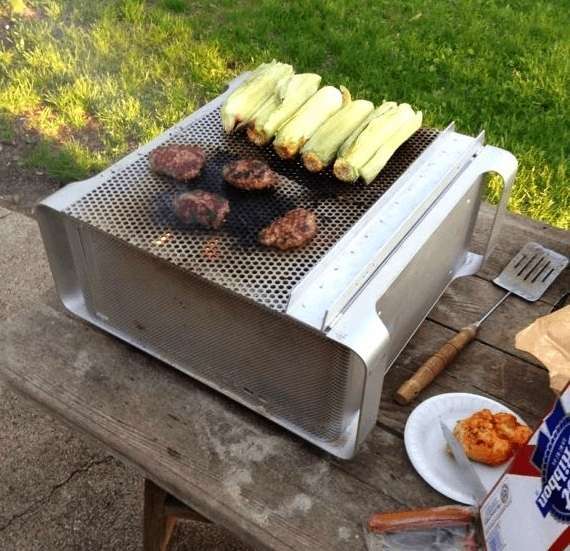 Getting down and dirty – the Power Mac G5 purportedly makes a great hibachi! 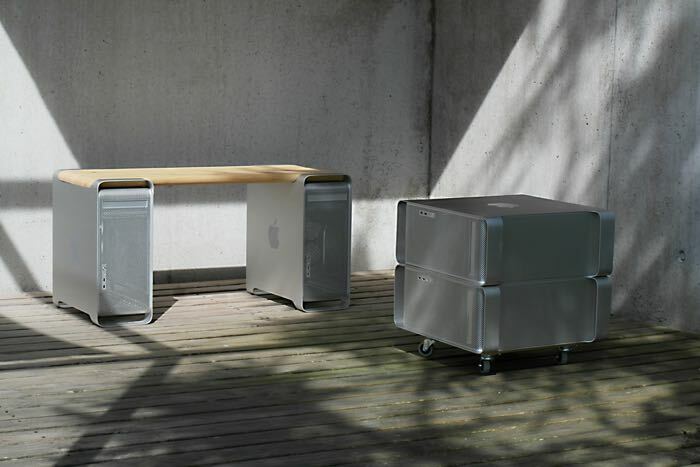 Power Mac G5 chassis repurposed into beautifully crafted bench and rolling file cabinet. 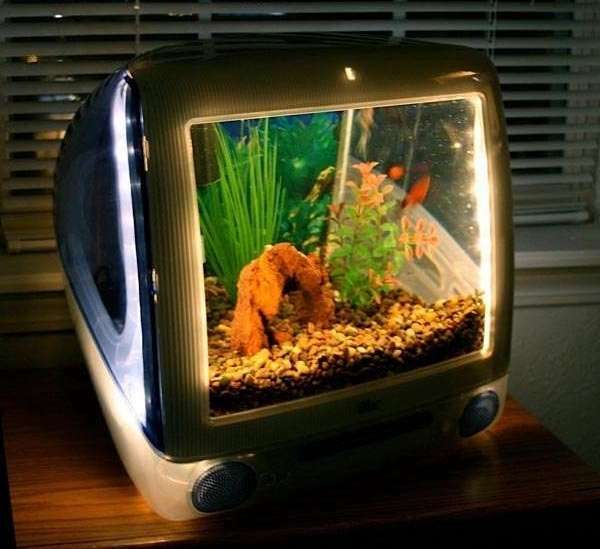 Aquariums that use old Mac computer shells are jokingly called Macquariums. 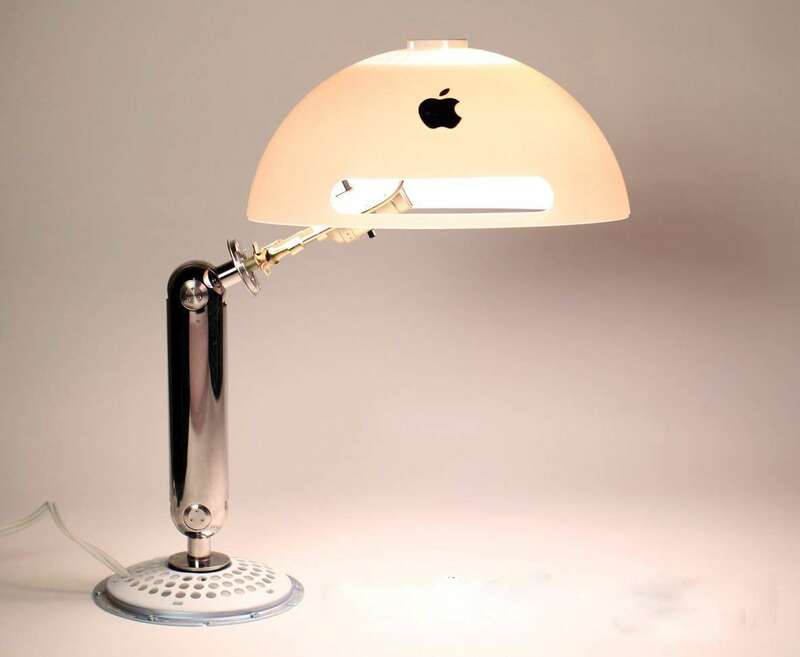 This one is upcycled from an iMac G3. 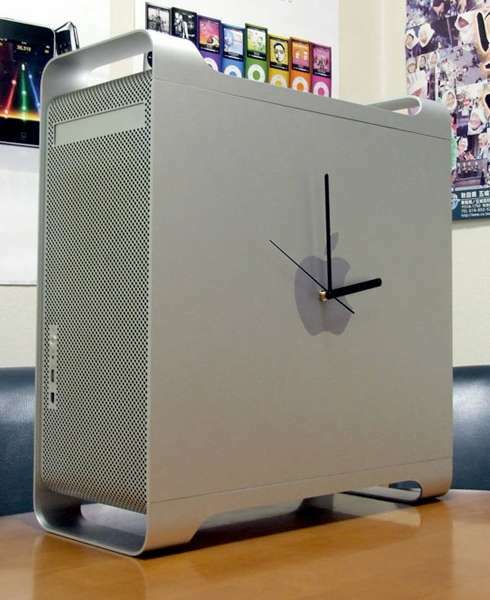 A Power Mac G5 slickly repurposed into a clock. 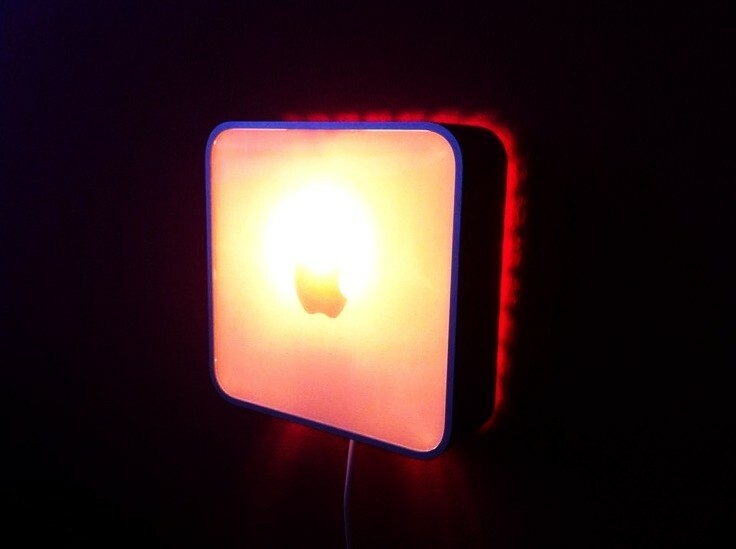 Mac Mini upcycled into a wall lamp. 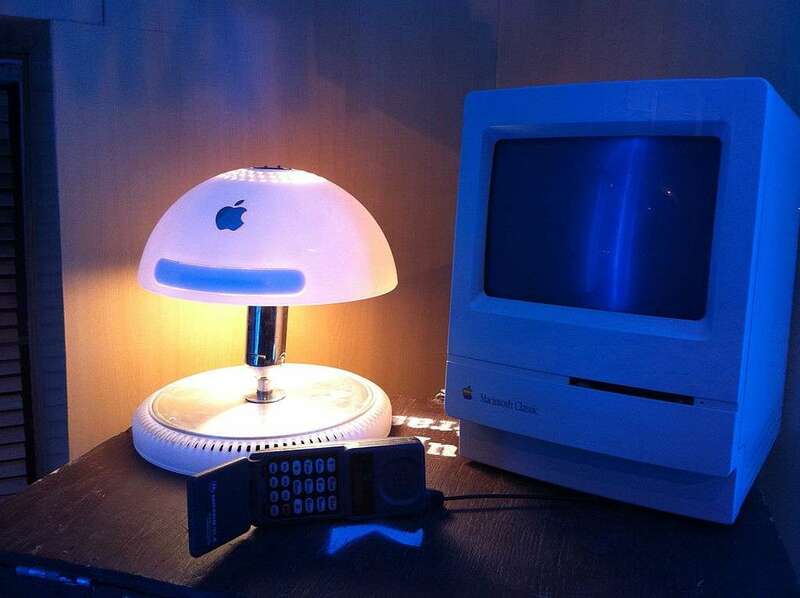 Another rendition of an iMac G4 dome base repurposed into a table lamp. Photo by Victor Grigas. 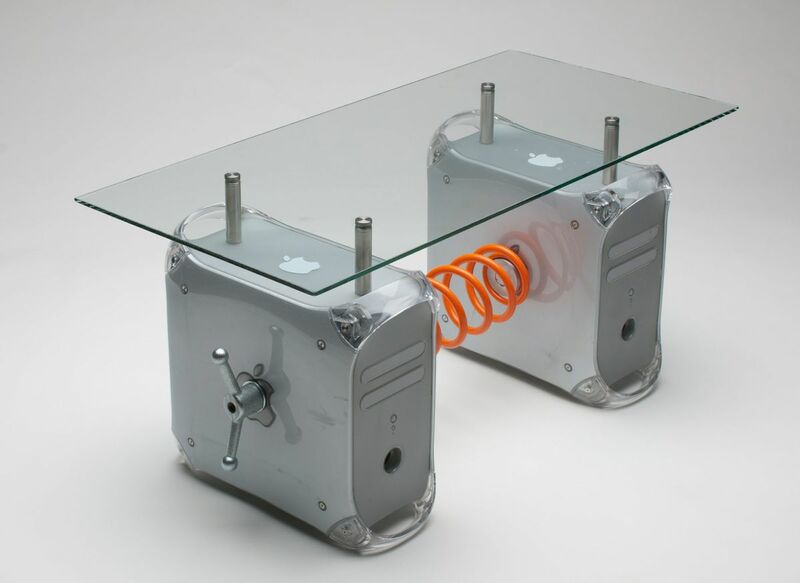 Power Mac G4 towers are creatively recycled into a coffee table that boasts 70% recycled content, including this spring from a car suspension system and a crank handle! 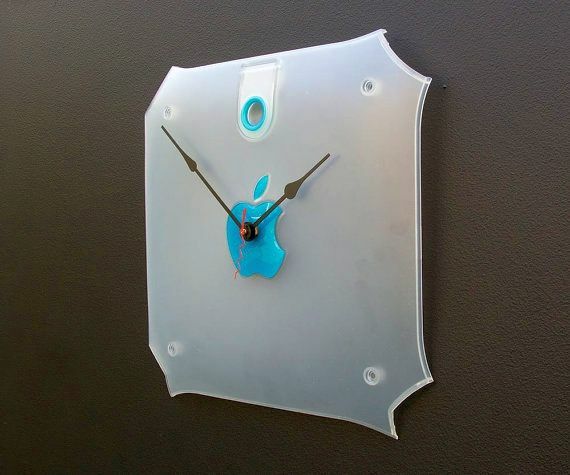 For newer Apple products, how about this clock repurposed from an iBook G3 clamshell? 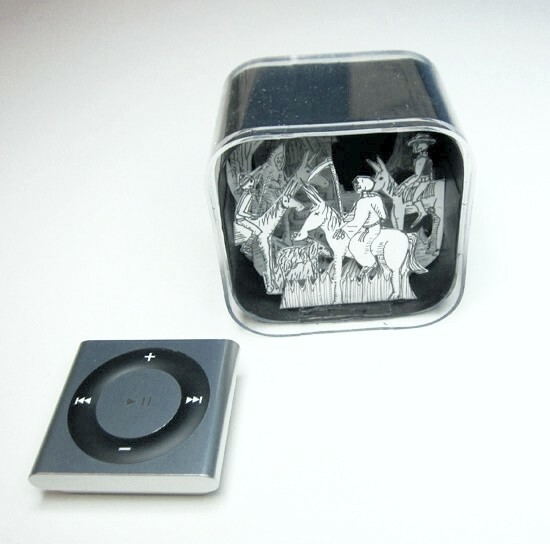 Last but not least, is a tiny diorama inside an upcycled iPod Nano (6th Gen) box. This entry was posted in Furniture, Green Design & Construction, Interior Design, Lighting and tagged Eco-friendly, Green Design, Green Lighting, Lighting Fixture, Recycled material, Repurpose, Upcycle by Marie Chan. Bookmark the permalink.